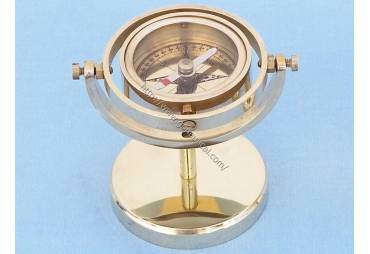 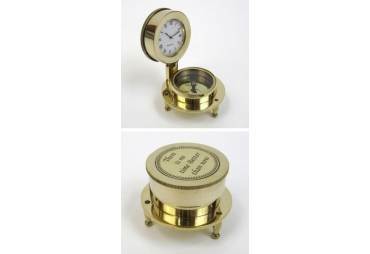 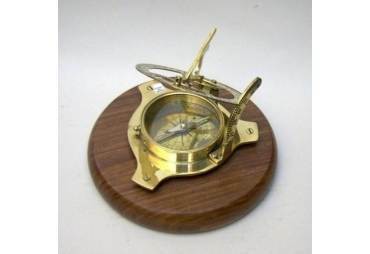 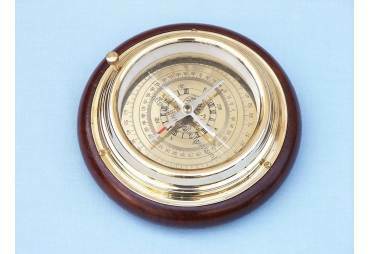 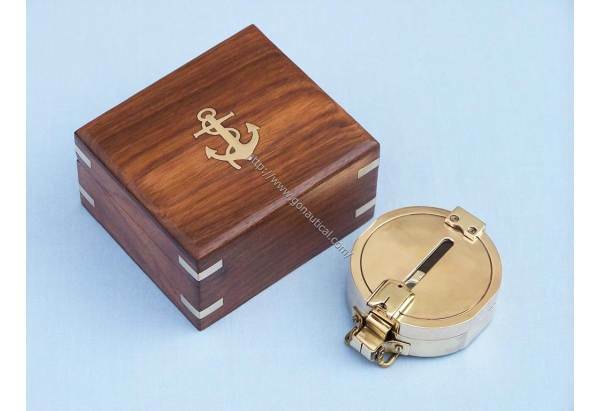 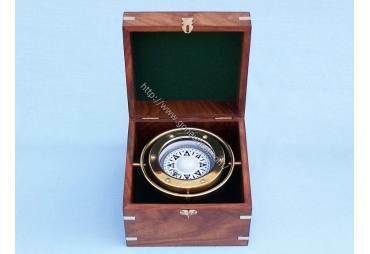 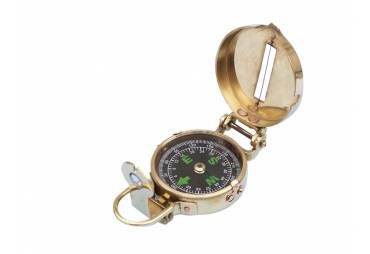 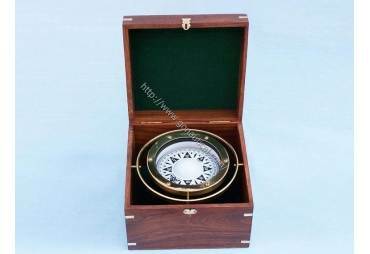 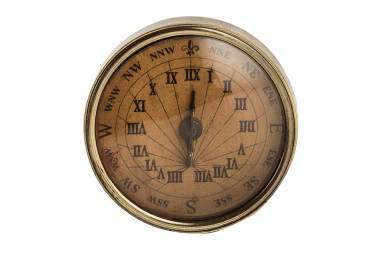 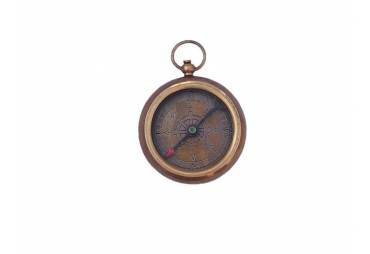 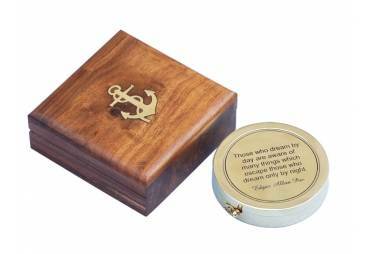 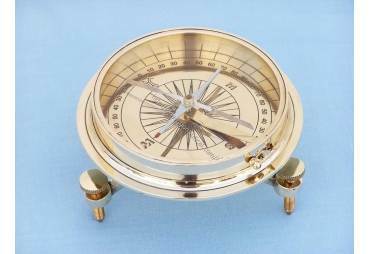 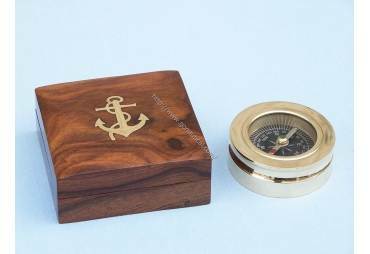 → Nautical & Coastal Decor >Compasses>Brass Clinometer Compass 4"
Features: Brass Clinometer Compass 4"
The Hampton Nautical solid Clinometer compass easily folds to fit in your pocket. 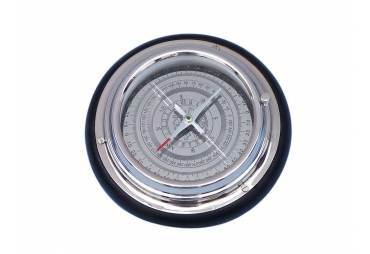 The compass card has both the standard 0 - 360 degree scale, as well as the 0 - 64 Mil scale (one yard at 1,000 yards). 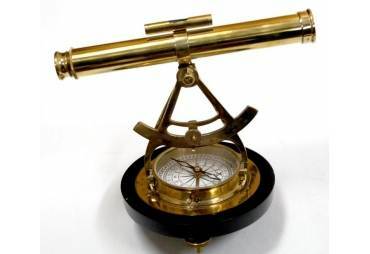 The cardinal points are luminous for easy glow-in-the-dark viewing. 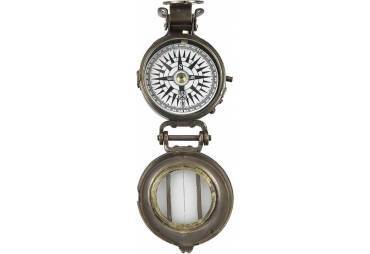 It features a standard glass bezel with two lines at 45 degree angles. 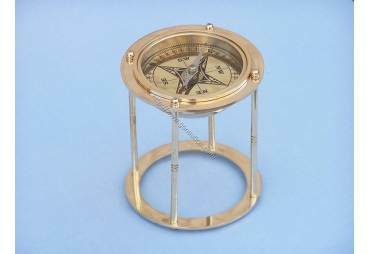 The bezel also rotates with detents so you can change the heading reference a known amount without looking at the compass. 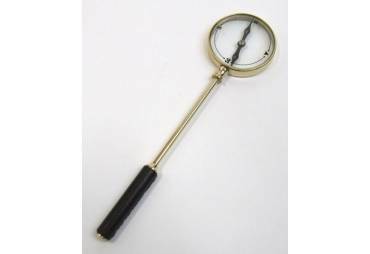 The front sight has a magnifier to simultaneously view the magnetic heading when taking a sight. 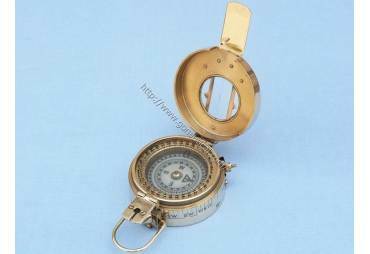 Folding the sight down operates a needle lift mechanism to protect the compass bearing. 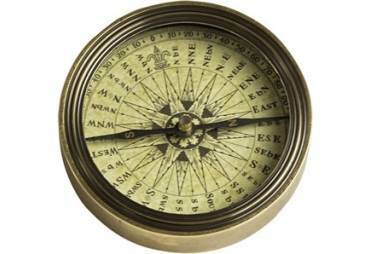 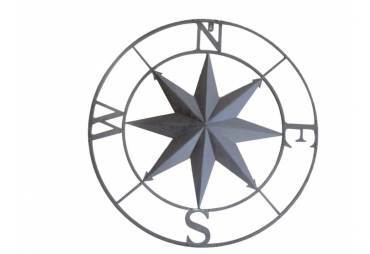 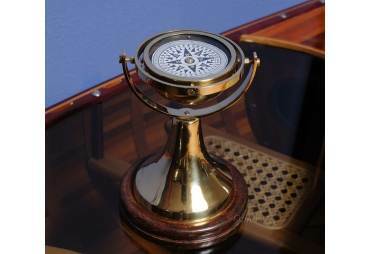 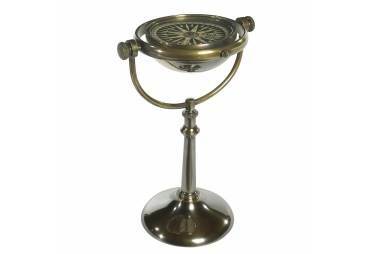 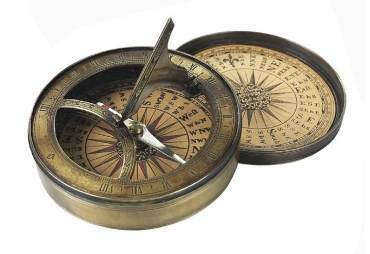 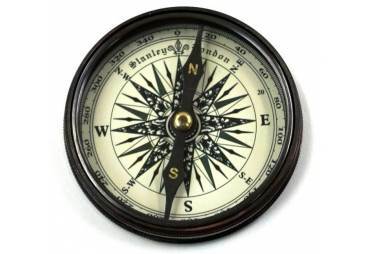 On the side of the compass is a needle freeze mechanism to hold a reading. 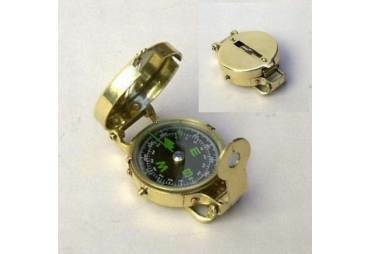 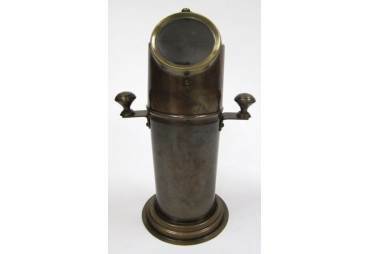 The compass measures 4" L x 3" W x 2" H and weighs 4 pounds.